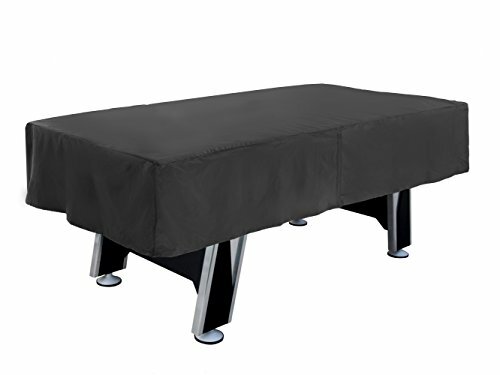 Our CoverMates Air Hockey Table Cover is made with a 12-gauge commercial vinyl, can be used indoors and outdoors, and will deflect almost anything thrown at your air hockey table, including: spilled drinks, dust particles, and yes, pet hair. If you have an overhead scorekeeper, this cover's velcro openings will accommodate the poles on either side of the table. We take pride in the quality of our products and as with all of our Game Table Covers, this one comes with a 2-year warranty.